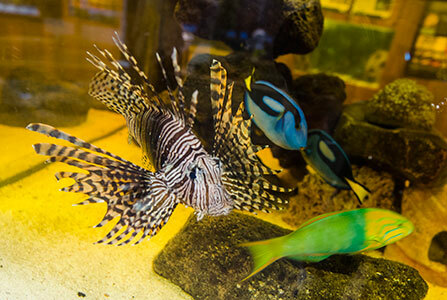 Give the gift of aquatic wonder for as little as $10. 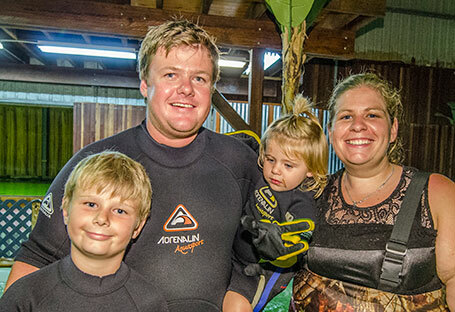 Not many people can boast a Shark Encounter for their birthday, or perhaps you have a budding marine biologist in the family. You can choose any combination you like all with one amazing e-gift card! E-Gift Cards cannot be used to purchase tickets online as they are already a ticket. Where Can I Purchase or Redeem an E-Gift Card? E-Gift cards are available online only. After purchase, you will receive a PDF e-gift card by email. You’ll have a chance to enter a recipient name and message during purchase and you can either forward the e-gift card PDF by email or print it to give to the recipient. E-gift cards are available online only and will not be mailed to purchasers. It’s up to you! You can load a gift card for $10 or more. Lost, stolen or misused cards can only be re-issued if they are still valid in our system. Not redeemable for cash. All sales are final. 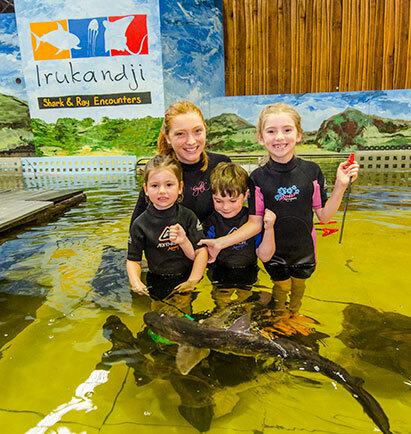 For current balance information, please visit Irukandji with your gift card. Value is in Australian Dollars. In the event that duplicate copies are presented, Irukandji reserves the right to refuse Gift Card redemption for any or all Gift Card holders.